SustainableWork: Sept 25, 2010. Update 3. 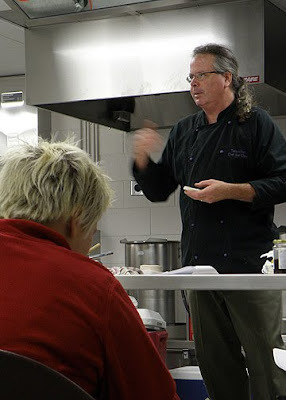 Chef Joel Olson's first cooking course was delicious! Sept 25, 2010. Update 3. Chef Joel Olson's first cooking course was delicious! Chef Joel presented his first cooking course, Everyday Cooking: Cooking Without a Recipe With Wisconsin Local Foods this month. It was really a cool experience. I was thrilled and I know from people that were there for the full session that they learned a great deal. They also ate very well! Chef Joel’s next course will be on Saturday Oct. 9th. 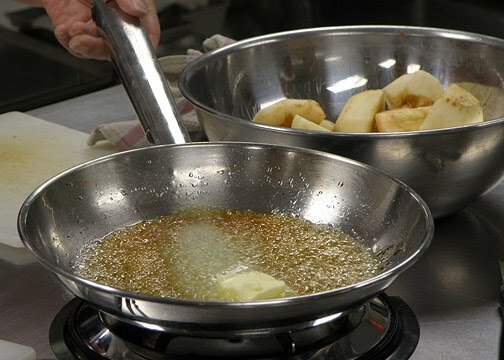 Learn the techniques and methods necessary to set the foundation for cooking without a recipe. Learn which ingredients to have on hand and how to get away from feeling you are eating leftovers. 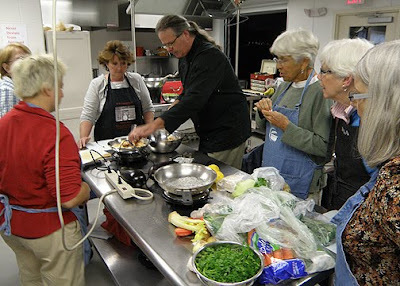 The morning portion of the class will cover a large repertoire of recipes, cooking techniques and tips with a meal prepared for you. After a short break, participants will work in groups to prepare gourmet dishes from an array of Wisconsin local ingredients for appetizers, entrees and desserts. Chef Joel's next course will be Saturday Oct. 9th from 9:30 to 4:30 PM. Join us! Download the brochure for Chef Joel Olson’s course. Second Saturday of most months.